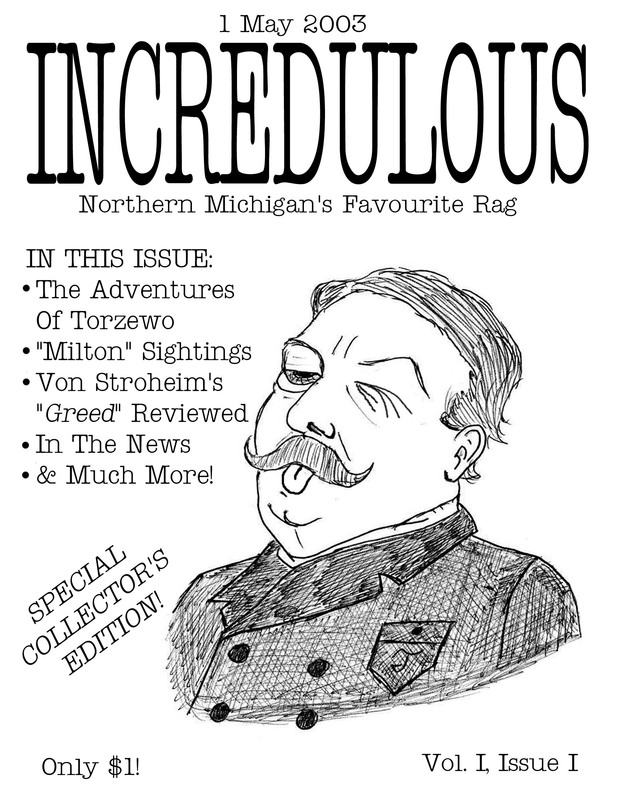 That's right, the very first issue of Northern Michigan's favourite rag! 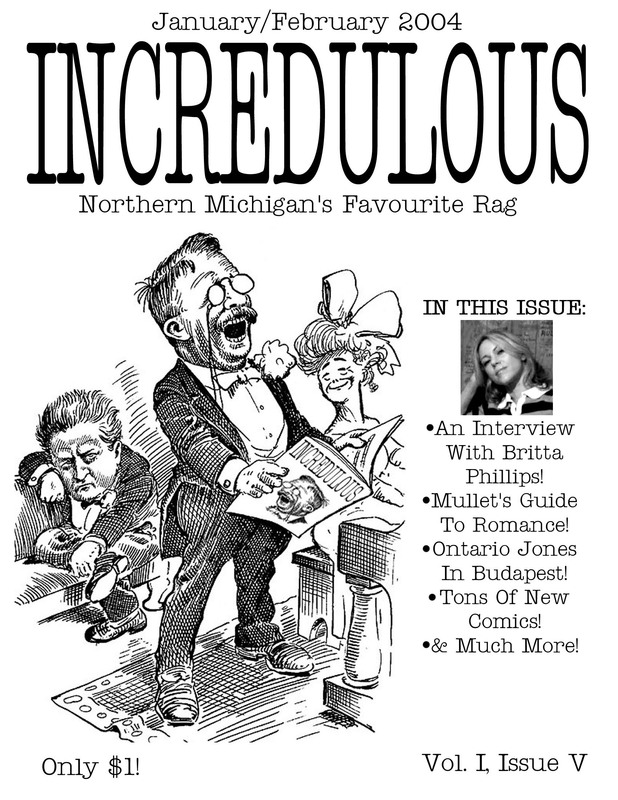 Features the debut of Torzewo, Guy Mullet, and Golden Greats Of The Silver Screen. Special Summer Issue. 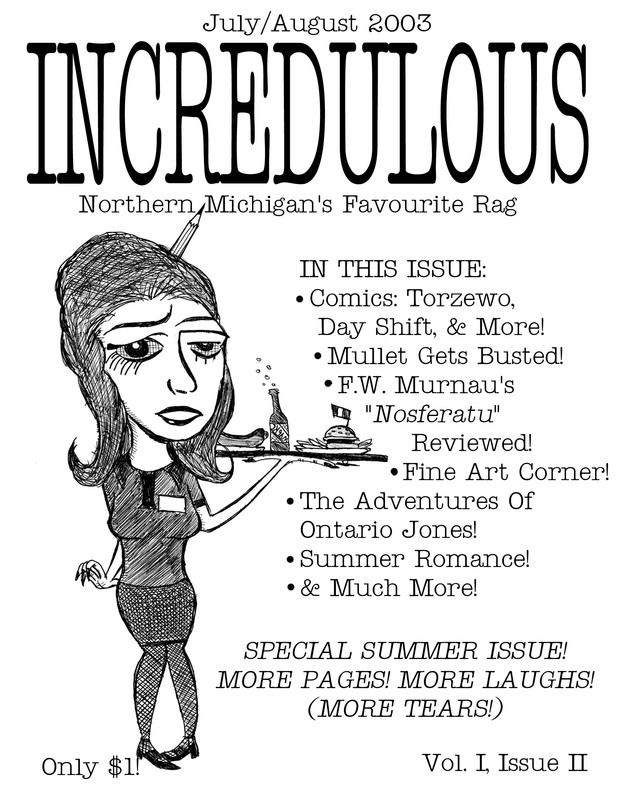 More Torzewo, more Mullet, plus the first appearances of Ontario Jones and Day Shift. 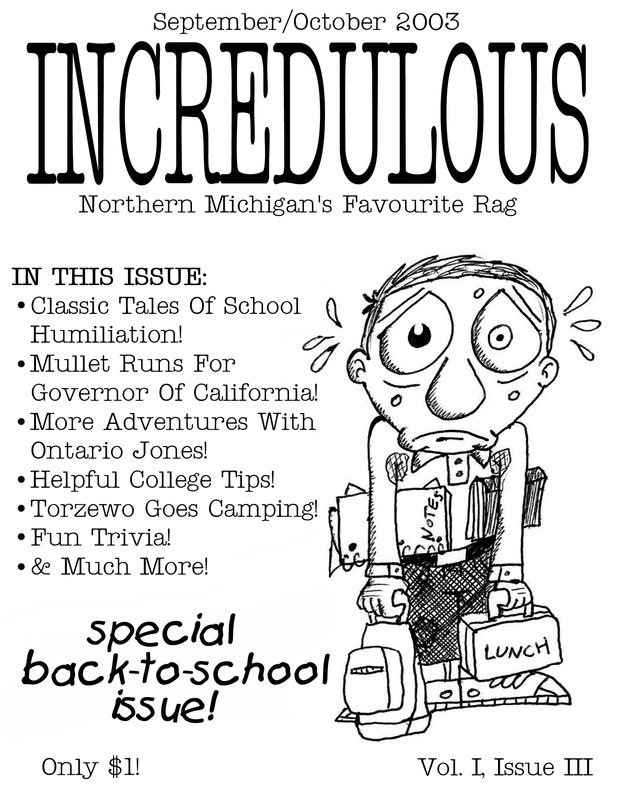 Special Back-To-School Issue! Features classic tales of school humiliation and lots of helpful college tips. Plus Mullet runs for governor and we teach you how to draw Torzewo. 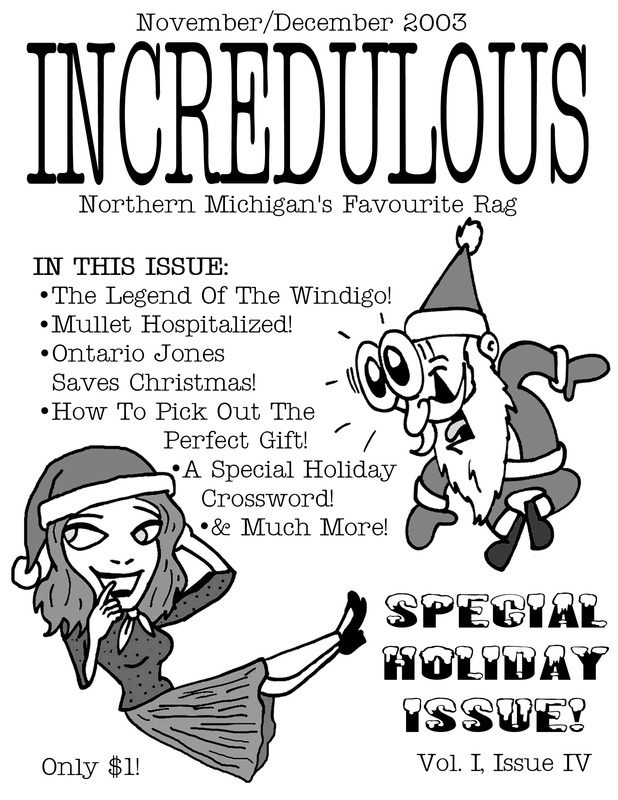 Special Holiday Issue! Ontario Jones saves Christmas and we tell you how to pick out the perfect gift. Also the debut of Paris The Heiress and Shocking Tales Of Terror. Features an interview with Luna bassist Britta Phillips and Valentines greetings from the staff. The first appearances of Something High and Da Bedrulje Broothers. 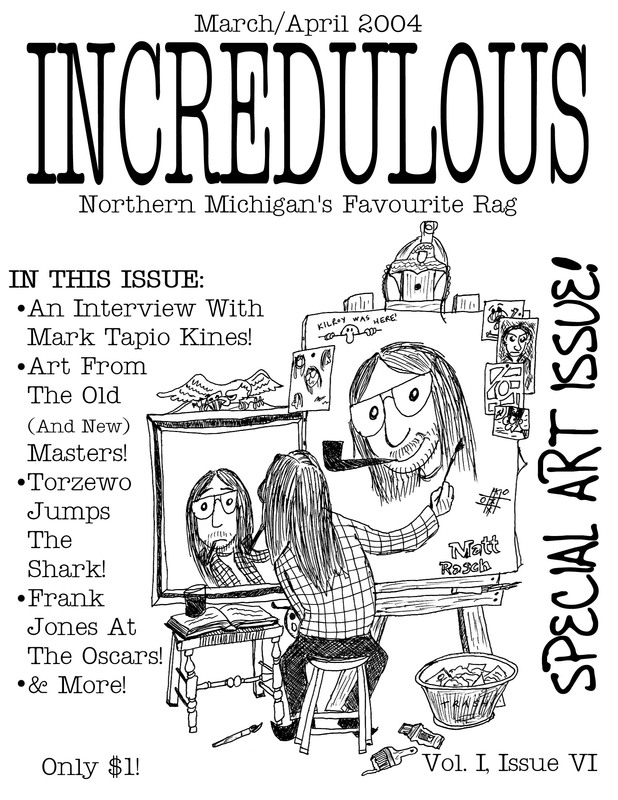 Special Art Issue. Features an interview with filmmaker Mark Tapio Kines and art from the Old and New Masters. Includes the first appearances of Dr. Mauvais Conseil and Frank Jones. First Anniversary Issue. 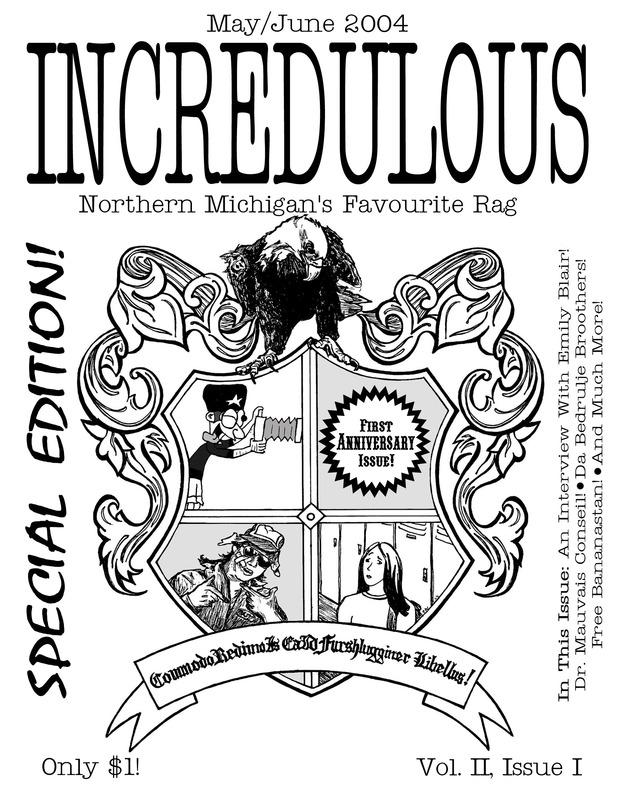 Q&A with comic artist Emily Blair, Ontario Jones frees the nation of Bananastan, and pictures from the Incredulous University yearbook. Special Travel Issue. 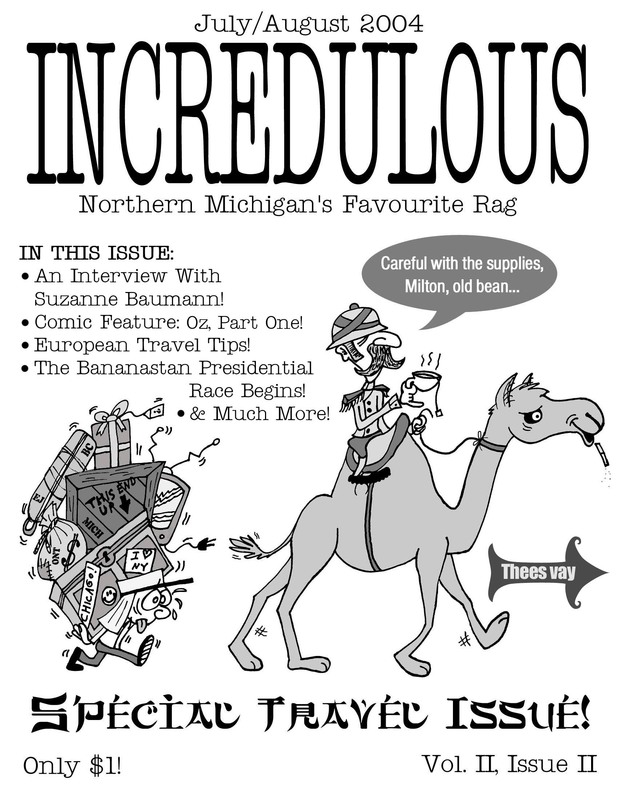 Features an exclusive interview with mini-comic artist Suzanne Baumann, part one of Oz, The European Tour, and continuing coverage of the Bananastani elections.